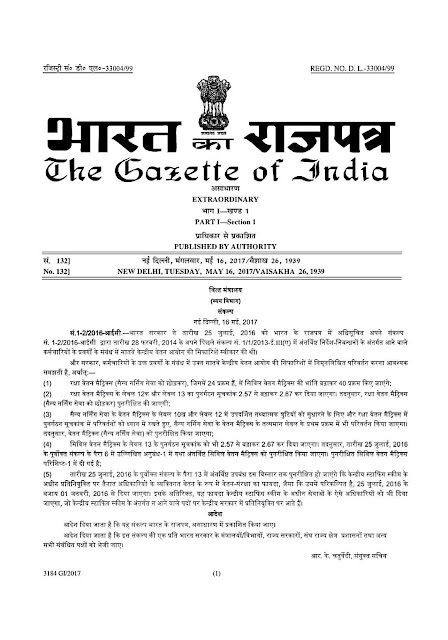 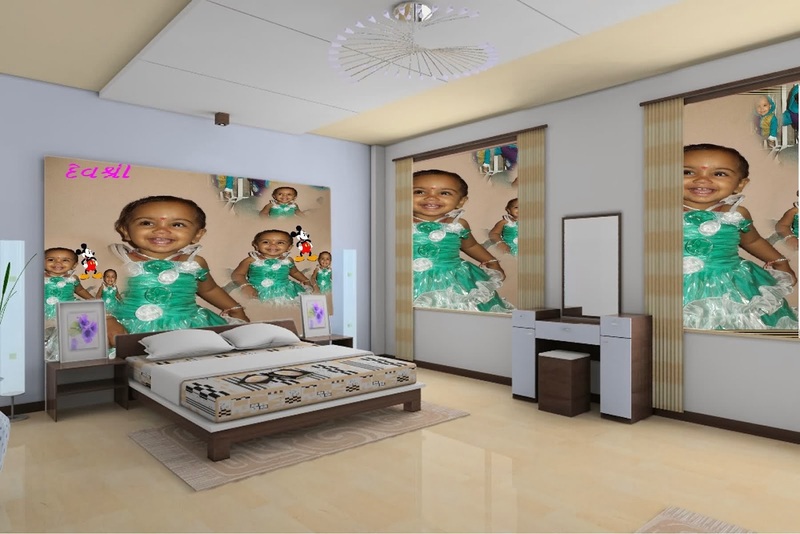 Whereas, vide its Resolution No.1-2/2016-IC notified in the Gazette of India, dated the 25th July, 2016, the Government of India accepted the recommendations of the Seventh Central Pay Commission in respect of the categories of employees covered in the Terms of Reference contained in its earlier Resolution No.1/1/2013-E.III(A) dated the 28th February, 2014. 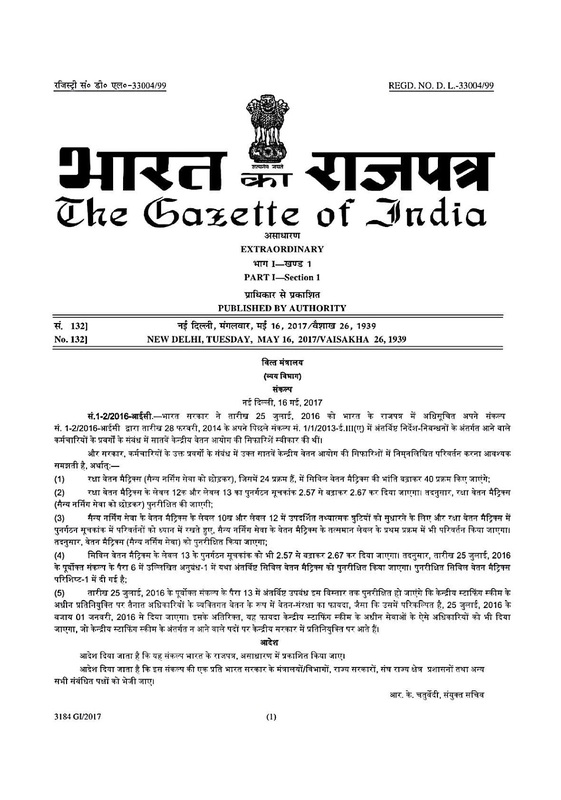 7th pay circular notified in the Gazette of India, latest circular of finance department. 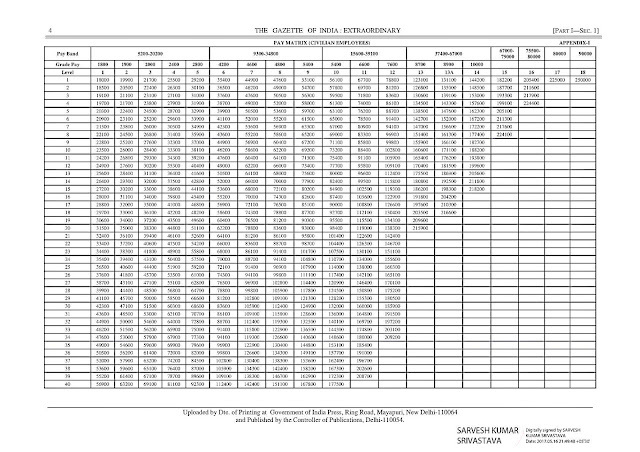 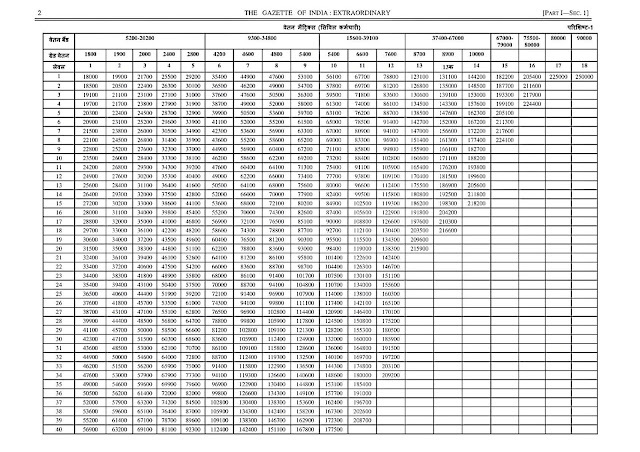 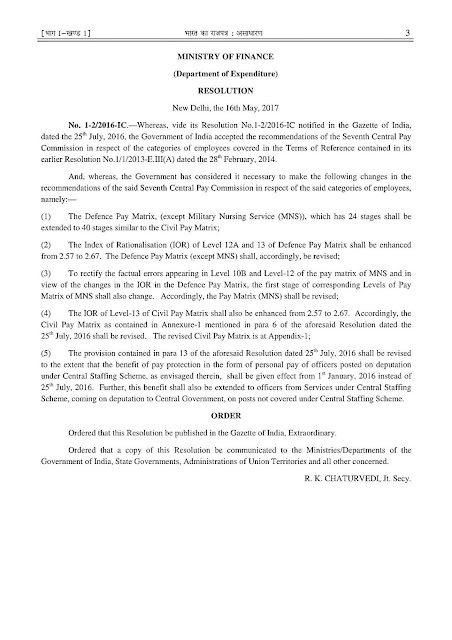 7th pay circular notified in the Gazette of India,notification of 7th pay.